That looks amazing Lynda!! I think I’m in need of a hunk too!! Its called compromise and and thinking of a few good reasons not to have a go cart track in that particular place. 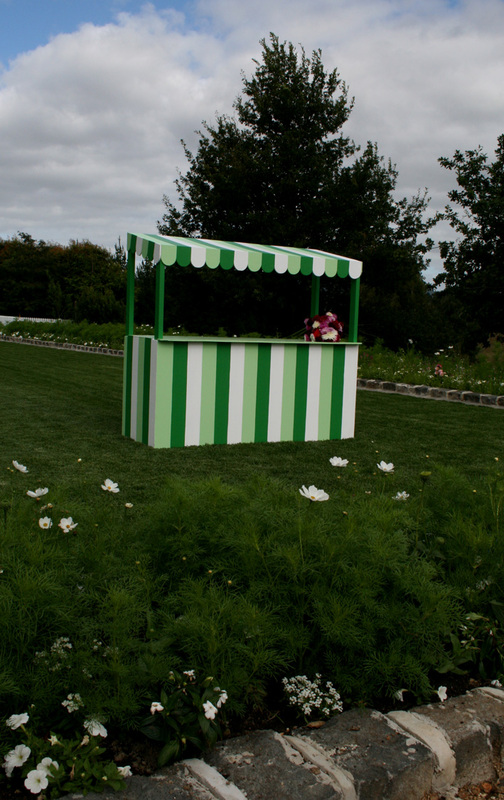 The lemonade stand looks fab- my husband has just finished my gazebo/garden room practical men are the best- failing that you have to get a millionaire who can buy in skill!! Best wishes for your special day. Heh. I like your spirit! I already compromised and told the Hunk he can have it as a full time go kart track until the middle of September, then I’ll be commandeering it to grow berries. Though I suppose if I was really entering into the spirit of compromise, I could create kidney-shaped berry beds that they could race around. That’s exactly the justification I gave for building it in the first place. Hopefully no one will steal the stand as well as the produce!